Uludag is located in the South Marmara Region in Uludag National Park. 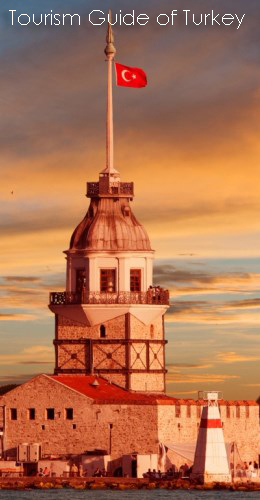 It is 36 km from Bursa, and 150 km from Istanbul. 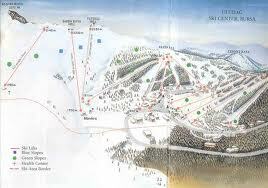 The ski center is a 40 minute drive from Bursa or a 60 minute drive from the airport. This center has suitable conditions for Alpine skiing, ski touring, cross country and heli-skiing. 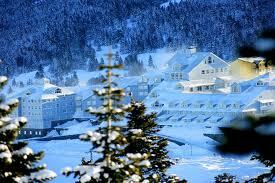 Uludag Ski Center is equipped with I cablecar, 5 chairlifts and 7 T bars. Qualified skiing instructors and equipment for hire are available. The center has first aid facilities and a rural clinic. Accommodations can be booked directly. Note: In foggy conditions it is essential especially for amateur skiers not to wander outside the marked slopes and areas.